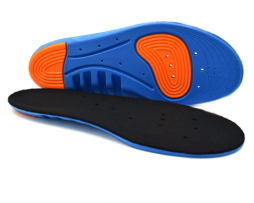 Home Page | Sports Injury | What are the best insoles for Achilles tendonitis? 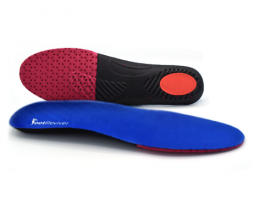 Before buying insoles to help treat your Achilles tendonitis it is important to first get to grips with what what causes this will injury to develop, so can you make a better and more informed decision when buying your new insoles!. This article will help provide you with all there is to know about Achilles tendonitis including what causes it and how to treat it properly. 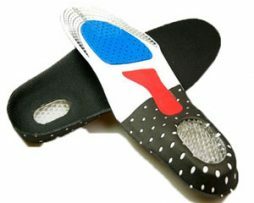 Below you will also find a handpicked selection of the best insoles for treating and preventing this injury! Achilles tendonitis is a form of tendonitis that affects the Achilles heel; there are many reasons why someone may get Achilles tendonitis. The most common cause of Achilles tendonitis is through over use of the Achilles heel. This can mean healthy athletes have a greater risk of getting Achilles tendonitis than someone whom does not use their Achilles tendon as much. Something to keep in mind is that the symptoms of Achilles tendonitis can be confused with that of xanthoma of the Achilles tendon; xanthoma is often caused by the build-up of cholesterol due to hypercholesterolemia. In contrast to Achilles tendonitis, xanthoma of the Achilles is actually linked to a unhealthy and inactive lifestyle rather than that of a healthy athletic one. If you get Achilles tendonitis then recovery can often be long due to the fact that the tissues and cells in the Achilles tendon have a limited supply of blood meaning rebuilding and repairing of Achilles tendon will often take time. – Pain which gets worse on the Achilles tendon or on back of your heel when using the Achilles tendon for example whilst running. – Tearing the Achilles tendon can cause a sudden “pop” so to speak if you have experienced this or something similar then it may be best to go see your doctor for further advice. How does the tendon repair itself? Scientist believe that when the Achilles tendon needs repairing cells from other tissues surrounding will actually migrate to the Achilles tendon to help repair the damage. Also blood from blood vessels shall also provide new fibres that will help the tendon reconstruct itself; it has been thought though that this process may actually be a cause to the pain experience when suffering from Achilles tendonitis. Scientific experiments have shown that by injecting local anaesthetics in patients suffering from Achilles tendonitis near these blood vessels the pain can be dramatically reduced. Achilles tendonitis can be prevented with proper stretching and warm up of the Achilles heel before exercise or sport. Also Achilles tendonitis can occur if one is not wearing correctly fitted and supportive shoes and insoles. That is why buying the right fitting insoles and shoes is quiet important. 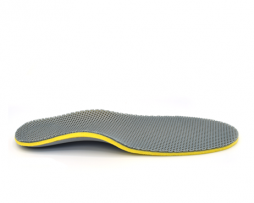 There are many tried and tested treatments for Achilles tendonitis including wearing orthotics and also heel pads to help reduce the pressure on the Achilles tendon. 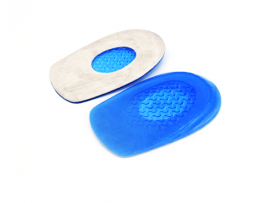 By better supporting the Achilles tendon with heel pads it has been proven to drastically improve recovery time, not only that but heel pads for Achilles tendonitis can help to prevent the problem from occurring in the first place. 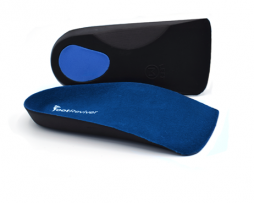 Preventing Achilles tendonitis is easy with regular stretching exercises and heel pads. As we get older the fact is that our tissues and bones weaken and this is a natural part of growing older. However this does mean the risk of getting such problems as Achilles tendonitis is greatly increased. To combat this and reduce the risk you can re strengthen the muscles and tissues that are around the Achilles tendon by doing regular stretching exercises. One of the exercises you can do quite easily each day is to slowly lower and raise your body whilst using the leg that is suffering from Achilles tendonitis. 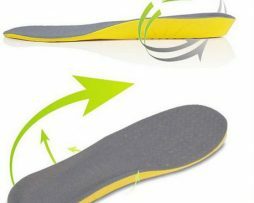 Heel pads are another great way to prevent Achilles tendonitis as they will spread the pressure that can build up on the Achilles tendon and spread it evenly rather than it being focused on one point which may cause damage. Remember! 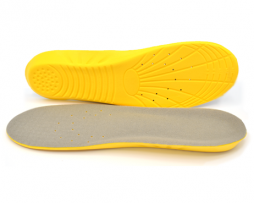 All orders come with a full 30 day money back guarantee which means you have nothing to lose when ordering as if you aren’t happy with your new insoles you can just send them back to get a full refund! 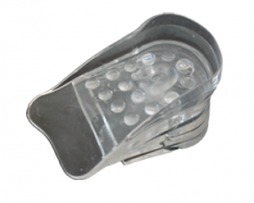 All orders made on working days are quickly dispatched that same day. Orders made on weekends or bank holidays are dispatched the next working day.